Volunteers needed to participate in a 3 month fitness study conducted by Geri-Fit and Spencer Public Library. 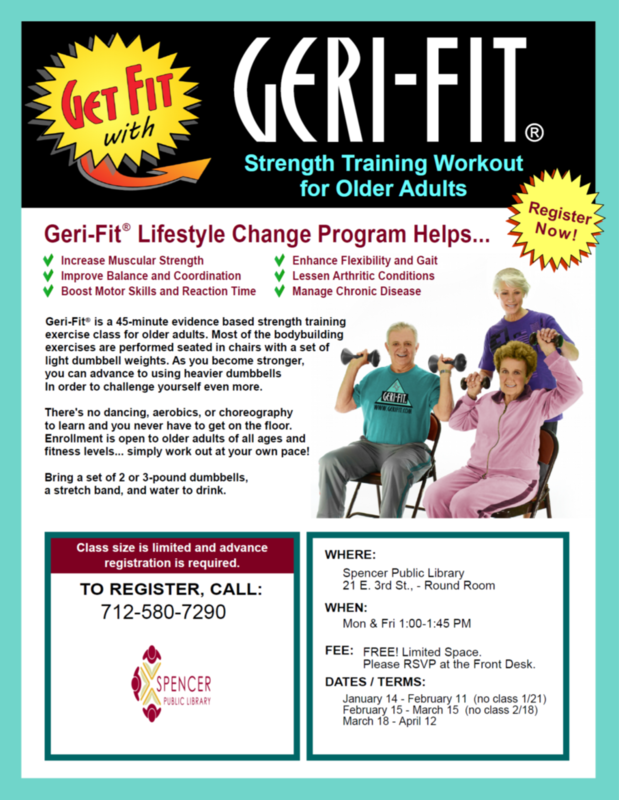 Join us in chair exercises done to a Ger-Fit video. This study is made to improve your flexibility and strength.